With the holidays fast approaching, you’ll likely spend more time with your parents, grandparents or other relatives in coming weeks. Besides being a great opportunity to catch up, share stories and create new memories, it’s also a chance to observe their health. 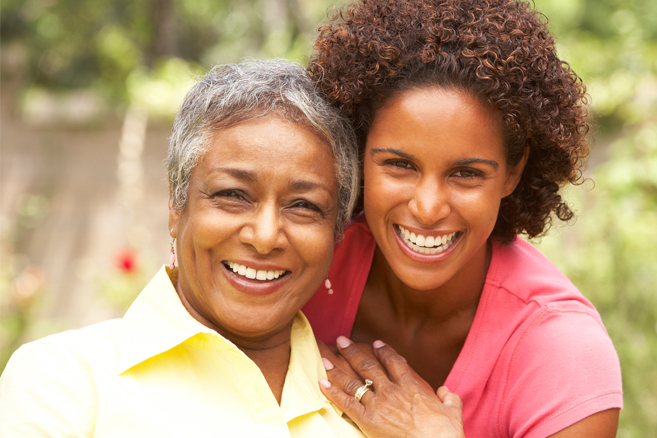 Older relatives can sometimes be reluctant to admit when physical abilities such as eyesight begin to weaken or fail. If mom, dad or grandma always enjoyed reading the daily paper, but now toss it aside, it could be because they can no longer read it comfortably. Ask questions: why aren’t you reading the paper, is the type too small, does it seem cloudy, etc. Follow up with questions about their ability to drive and interpret street signs and lights. Cataracts symptoms often include halos that make traffic lights hard to read. Poor eyesight often leads to impaired balance, stumbles and even life-threatening falls. Elderly people may be quick to dismiss these incidents as just part of getting older, but proper vision care could improve their ability to successfully navigate their home and life. If a family member seems less stable on his or her feet, remember it could be related to vision, and schedule an eye exam. Failing eyesight often leads to crankiness in the elderly. Vision is the sense many people rely on most for daily activities. When it fades with age, frustration and poor attitude naturally follow. This can impact every aspect of life and relationships, especially if the individual is slow to admit to having impaired vision. Watch for signs, ask questions and lend a compassionate ear. Many people prefer to seem in control rather than admit their body is failing. Don’t allow loved ones to suffer in silence. If someone you care about may have a vision issue, contact North Florida Cataract Specialists and Vision Care today to schedule a consultation.